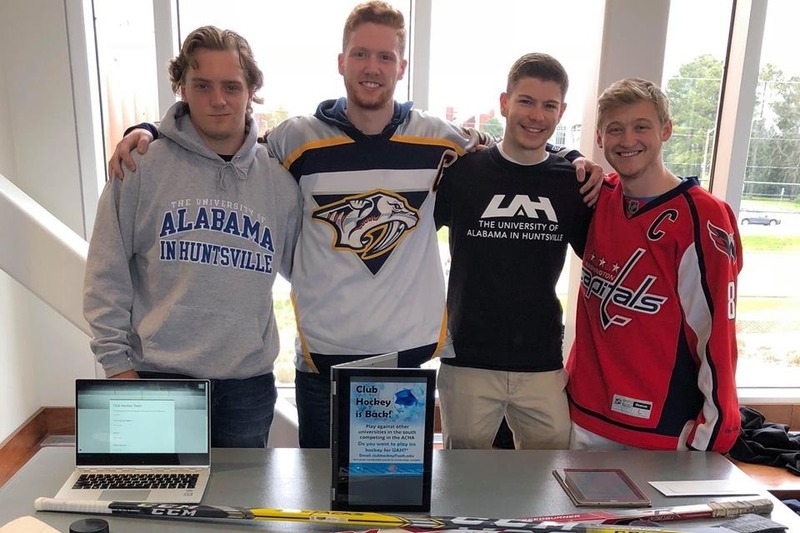 Club Ice Hockey has made its return to The University of Alabama in Huntsville for the first time since 1985! 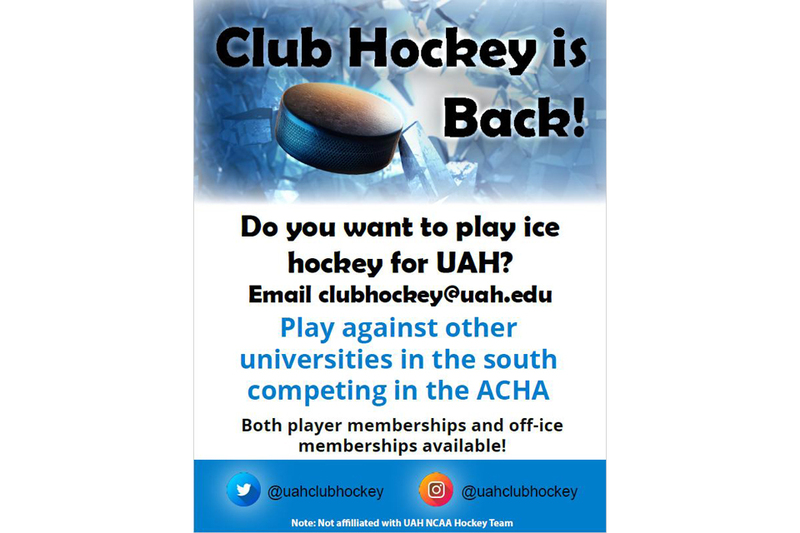 Thanks to a student-led, grassroots campaign and the support of the student body and administration, UAH will field a team to compete in the American Collegiate Hockey Association (ACHA) and the South Eastern Collegiate Hockey Conference (SECHC) for the upcoming 2019-20 season. All proceeds go towards team expenses, including ice rental, uniforms, travel, and other related costs. 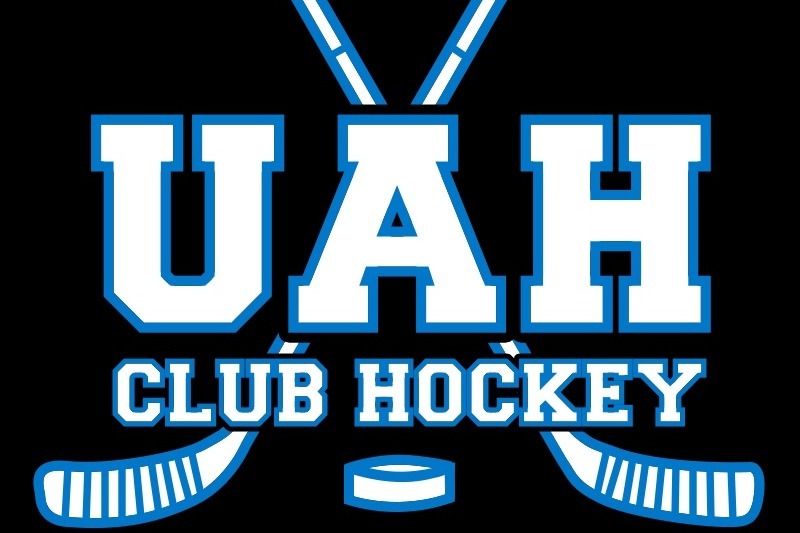 Please support the UAH Club Hockey team in their upcoming season! Thank you for your continued support! 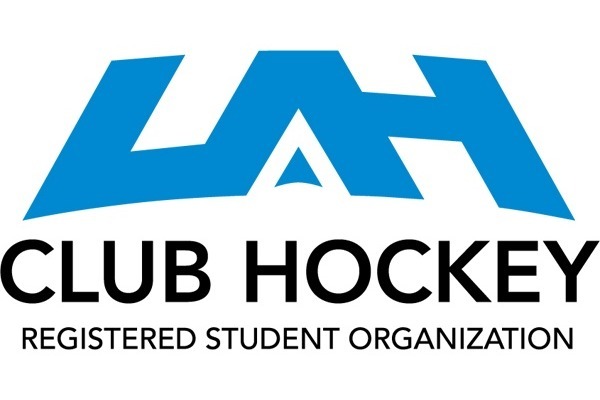 Visit us at OUR WEBSITE for more details about our organization, team, and contact information. WOW! Over $1,000 of donations! We thank you all SO much for the amazing support! Please help us continue this spectacular trend as we get closer to the beginning of next season!